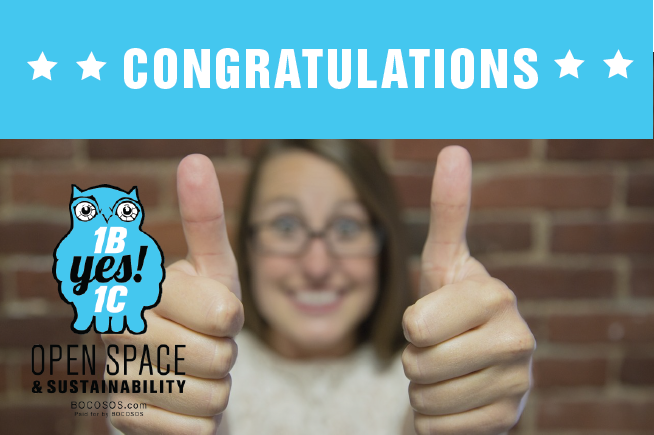 Better Boulder congratulates Citizens for Sustainability and Open Space on the the success of Ballot Issues 1B & 1C. We were proud to endorse these important measures, and the voters agreed. 1B received 61% of the vote, and 1C came in even higher with 69%! Proud to live in a county that understands that all action to address climate change begins at home. Thank You Boulder voters!